Sleep Apnea was affecting Laurie’s quality of life so much that she would walk down the halls at work with her eyes closed. “I was so exhausted, I literally could not keep my eyes open,” explained Laurie. For years, Laurie has been unable to sleep through the night, leaving her irritable, tired, and unable to perform everyday tasks. Unfortunately, common sleep apnea therapies have not worked for Laurie. The most common treatment is continuous positive airway pressure (CPAP) therapy. A CPAP machine uses a hose and mask or nosepiece to deliver constant and steady air pressure. For many, however, the CPAP therapy does not offer relief. Thinking she had no alternative, Laurie was excited to learn about Inspire Therapy, a new, revolutionary sleep apnea treatment from her physician, Dr. Ron Hanson of St. Cloud Ear, Nose, and Throat Clinic. Inspire therapy is an outpatient surgery designed to activate the nerve that keeps the tongue from collapsing during obstructive sleep apnea. Three components are surgically implanted under the skin on the right side of the body. These components work together to sense every respiration and send an electrical impulse to the cuff around the nerve that paces with your breathing to make sure the tongue doesn’t fall back and obstruct the airway during sleep. The Inspire Therapy device alleviates obstruction in the airway without altering the anatomy. As an outpatient procedure, it is relatively painless, and all of Dr. Hanson’s 35 patients who have had the surgery have gone home the same day. Most patients have a quick recovery after the procedure. The only limit during recovery is to keep right arm movements to shoulder height or lower. Most of Dr. Hanson’s patients require some Motrin for discomfort and are back to work in a few short weeks. Like Laurie, many patients have told Dr. Hanson that the Inspire Therapy has truly changed their life. 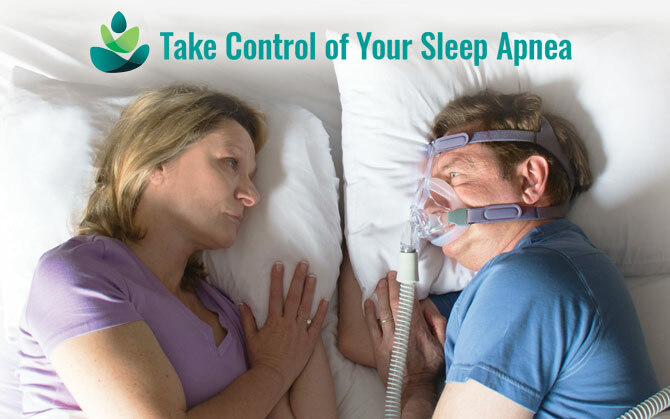 Laurie urges anyone suffering from severe sleep apnea to reach out to their primary care provider or Dr. Hanson and learn more about Inspire Therapy. “I would do it again in a heartbeat,” she said. If Inspire Therapy sounds like the solution you have been waiting for, please do not hesitate to set up a consultation! To schedule an Inspire consultation with Ron Hanson, MD or Amy Dearking, MD please call the St. Cloud ENT clinic at 320-252- 0233.